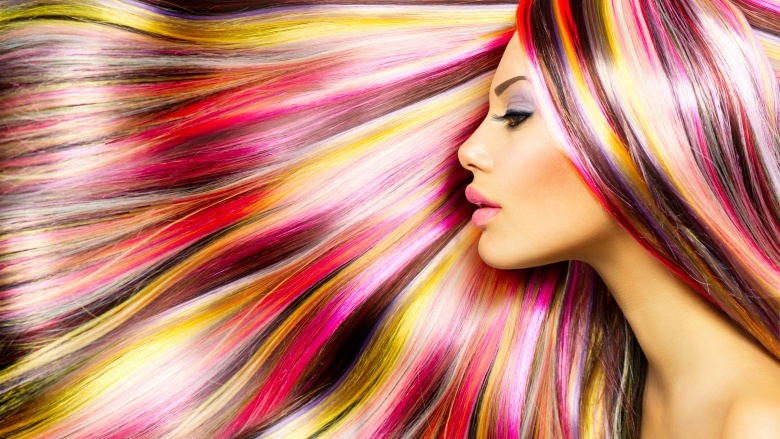 Have you ever tried coloring your hair? 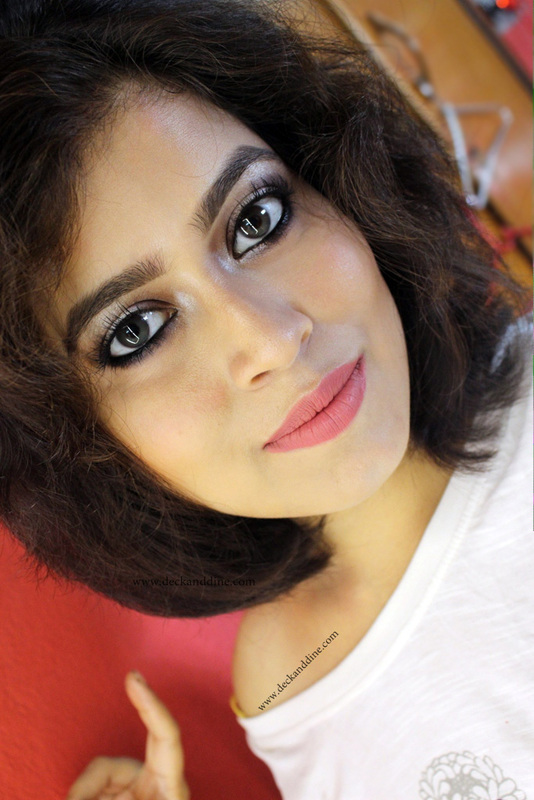 Have you ever tried out a hair color just to realize after sometime that it is not suiting you at all? The disappointed and disheartened you then pledged not to color your hair again. But, having the same colored hair throughout seems to be boring, but you are also afraid of ruining it again. Well, fear not, this is the story of almost every woman around the globe. Beyond the basic browns and blacks, there are infinite numbers of colors and shades which can make choosing the right hair color for you a task. I just sit flabbergasted on the chair whenever the hairstylist hand me the sample books containing all those tiny hair color samples. And if you are like me, a crazy and nontraditional hair color lover, then picking shades becomes even harder. Like makeup, under tone plays a major part in choosing the right shade of hair color as well. Know which undertone you are, whether are you cool, neutral or warm and then choose your hair color accordingly. 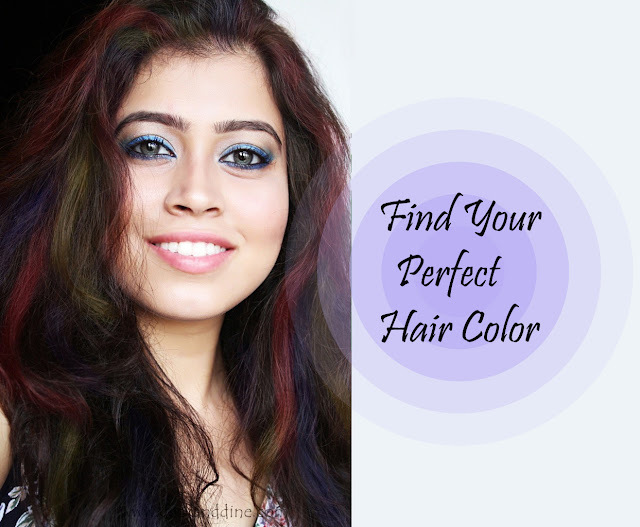 (Click HERE to know which undertone are you). After determining your skin tone, choosing hair color will become easier. The key is to choose a color that is opposite of your skin undertones, but doesn’t work against. Like, if you are cool-toned, choose warm shades like amber, caramel, copper, almond brown, rich honey, gold and other yellow, peach based colors. Cool colors on cool tones can give a washed out look. If you are warm-toned, go for blue based reds, dark reds, burgundy, purplish red, ashy brown, cool dark chocolate brown or other pink, red and blue based shades. If you are neutral-toned, then you can experiment with shades without a second thought. However, there is always an exception. I have seen cool toned women rocking cool shades and vice versa. I love highlights on fair skin than all over hair color. 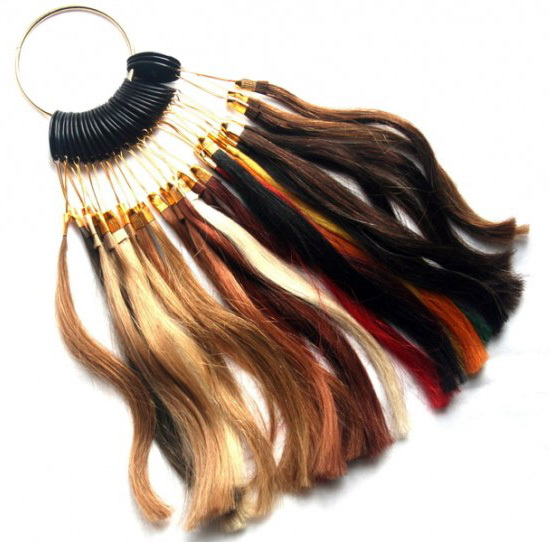 Highlights in shades of caramel, butterscotch, gold, amber, honey, or poppy red, electric blue, pinks if you want to have something off-the-beat. If you are going for all over color, then choose not more than one or two shades lighter or darker than your natural hair color. Create dimension using “highlight and lowlights” to amp up your look. You can even opt for ombre techniques for nice gradient effect. 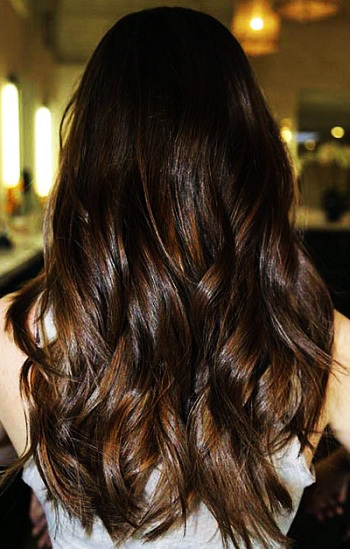 I personally love copper brown hair color with subtle streaks of light and dark browns. Something similar to Emma Stone’s in this picture. Now, I really envy people who have medium skin tones; because, medium skin tone is so versatile and can carry a wide spectrum of shades. From subtle wash of color to high contrast funky highlights, people with medium skin tones are blessed to have the capability to experiment. Dark skinned beauties usually have very dark hair. Ebony brown, medium auburn, chestnut brown, copper, mocha, mahogany, espresso, maple brown, inky black, toffee and other rich are ideal for you. If your hair color is close to your skin color then you can create contrast by going for subtle gold or honey to create depth. I personally love dark skinned beauties with dark chocolate brown hair and golden highlights. Make sure you have healthy hair before you go for coloring. Otherwise, coloring can make your hair frizzier and duller. If possible, have a talk with your stylist well in advance. You just don’t want to decide in a whim and regret later. Always remember that what looks amazing on a friend or a celebrity, might not look that good on you and what looks breathtaking on you, might now look as alluring on others. So, keep that in mind instead of following something blindly. Even when going for full hair color, keep “highlights and lowlights” in mind, this adds realism and dimension to the hair. So, what are you waiting for? Book your appointment now. Durga Pujo is not very far ..
Hi,Loved this post.I was waiting eagerly.planning for almond brown highlights.Lets see how it looks.Thank u.